This summer, Boeing delivered its first 737 MAX aircraft to Emirates partner Flydubai, which is showing off its prized plane at this week’s Dubai Air Show. While I had planned to drop by for a tour at some point, this particular narrow-body plane became a top priority as soon as I caught wind of a unique addition just behind the nose. At this point, the 737 MAX 8 we’re most familiar with is flying for Southwest — by comparison, Flydubai’s variant is super tricked-out. 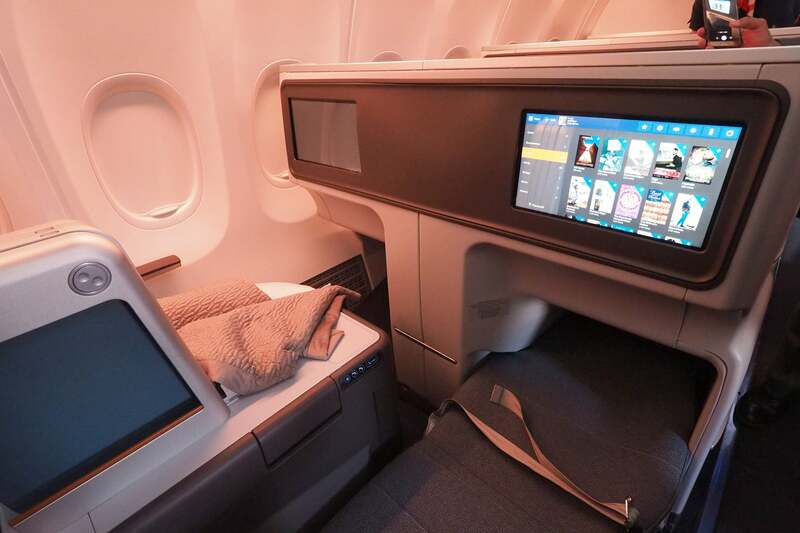 It features a very solid product back in coach, but business-class passengers are really in for a treat — this plane offers lie-flat seats up front, and they’re the same model we’ve come to know and love as JetBlue Mint. 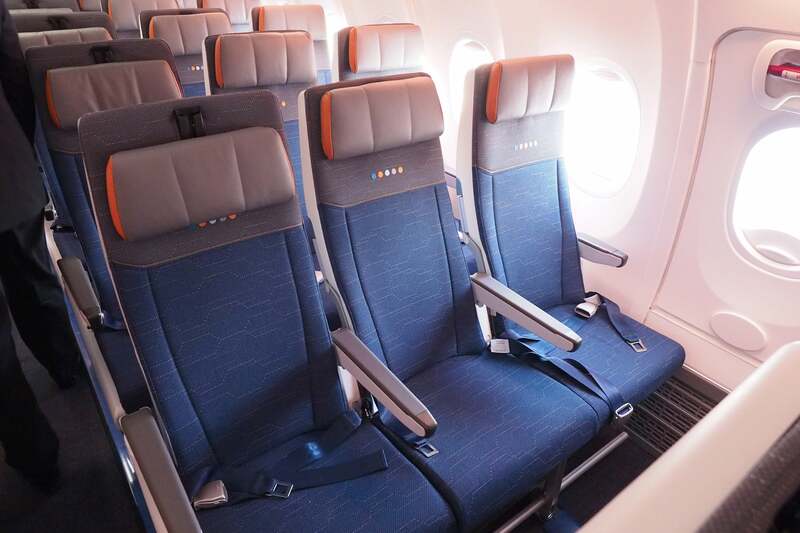 This particular seat, called Vantage, is manufactured by Thompson Aero Seating, which may be working on a similar installation for Malaysia Airlines’ MAX. Seats alternate between 2-2 and 1-1, depending on the row, just as they do in JetBlue Mint. 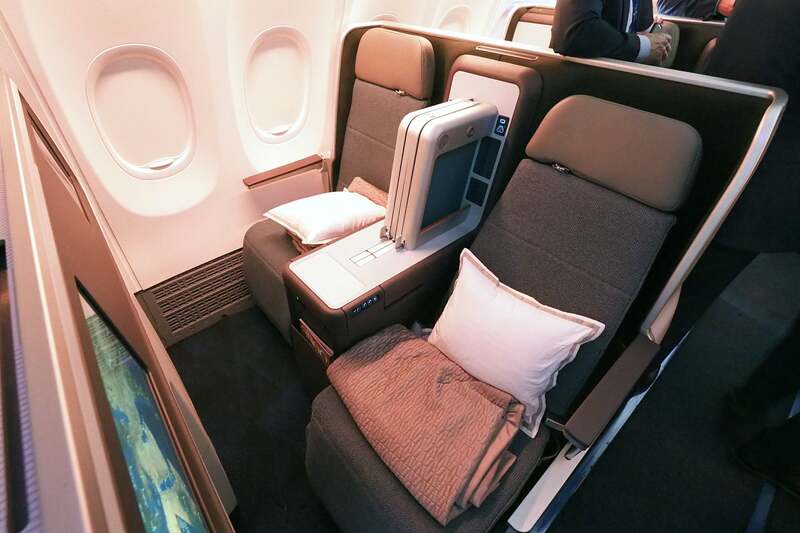 Obviously, if you’re traveling solo, the single seats are the way to go — there are just two to choose from in this cabin. Otherwise, you’ll be seated in one of the 2-2 seats, which are still more than adequate for shorter trips. 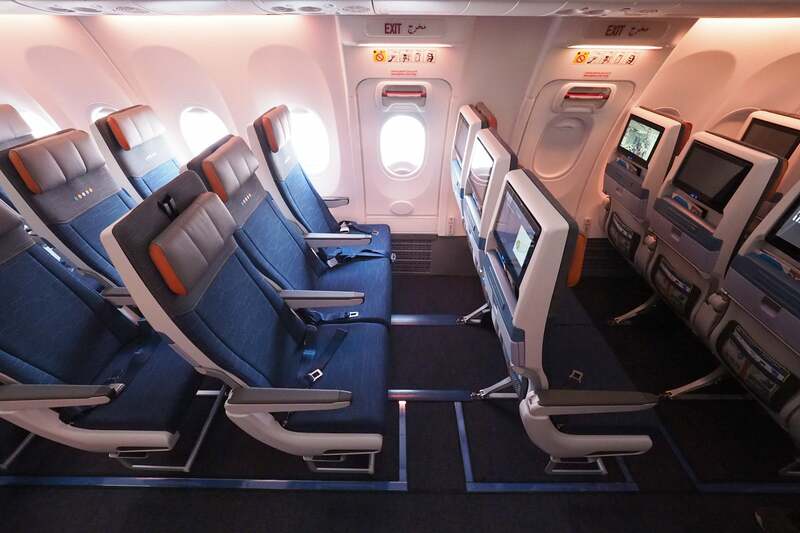 Economy looks decent, too — seats are arranged in a 3-3 configuration, as on all 737s. 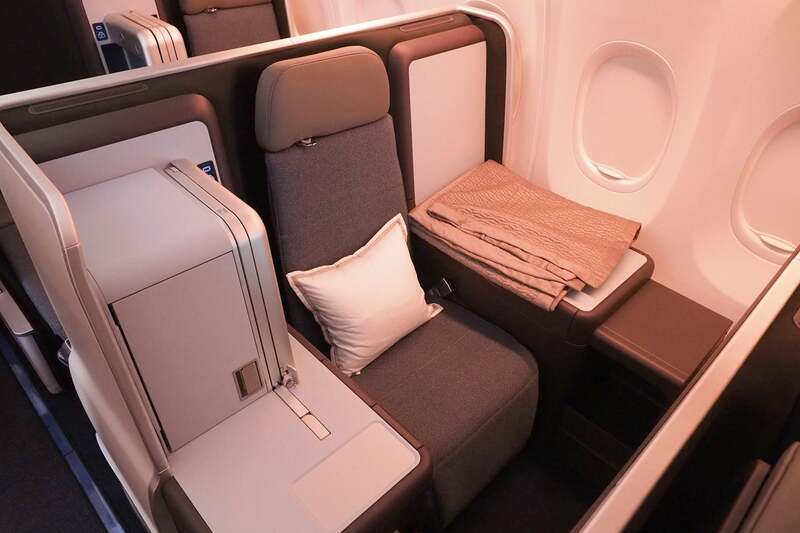 These seats are about as high-end as you’ll come across in economy on short-to-medium-haul flights. 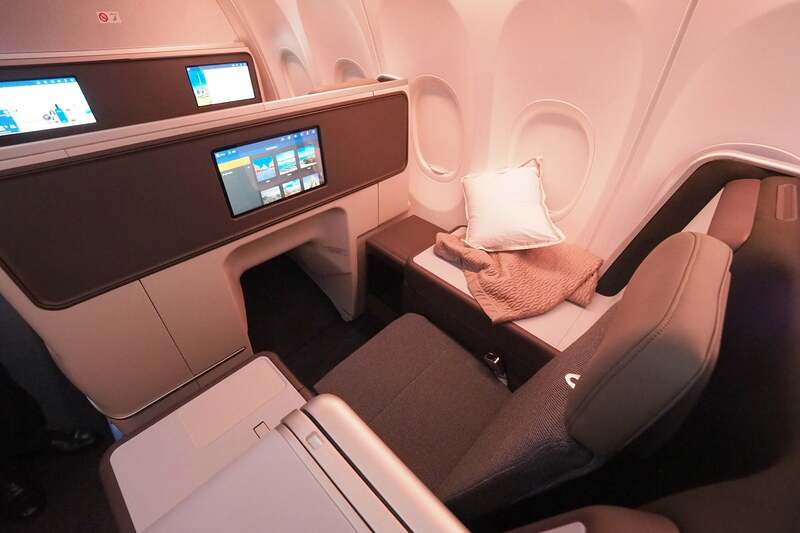 There’s a large, high-definition on-demand entertainment system at every seat, plus an adjustable headrest and extra padding. Legroom looks decent as well, especially at the exit row. 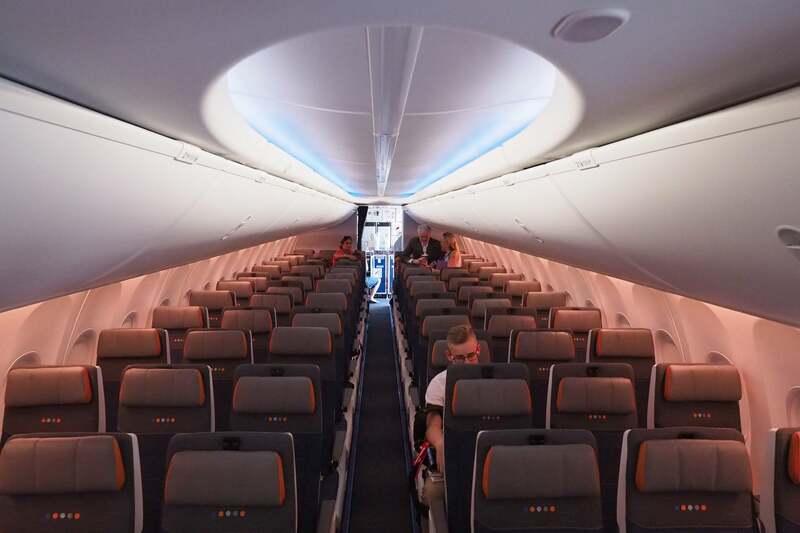 Of course, if you’re based in the US you’re far more likely to find yourself on a 737 MAX operated by Southwest, or even Norwegian before you’ll come across this one on Flydubai. Still, considering the airline’s expanded partnership with Emirates, it’s possible that you’ll have a chance to try out this plane. 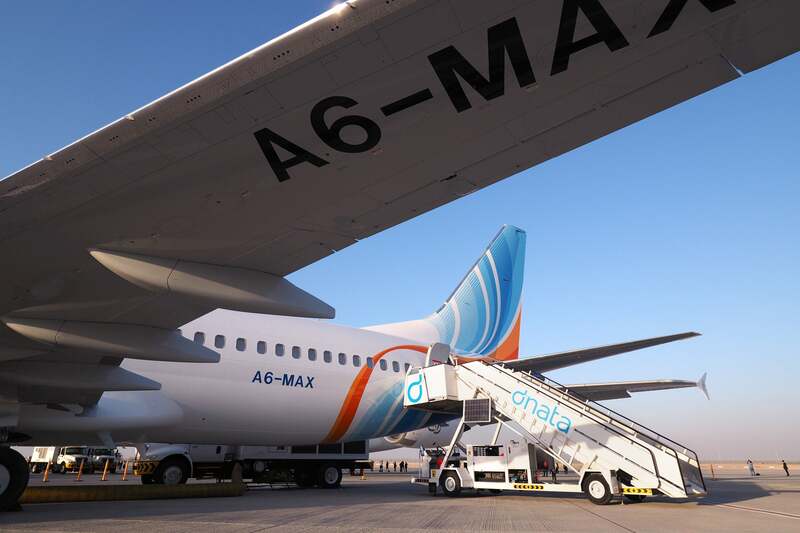 While specific flights have not been confirmed, Flydubai has referenced several possible MAX destinations, including Bangkok, Prague, Yekaterinburg and Zanzibar. The carrier has taken delivery of one MAX so far, with 75 more on the way. Award options are limited, but Flydubai loyalists can redeem from the airline’s OPEN program. Additionally, if you’re booked on Flydubai with an Emirates flight number, you may be eligible to earn Skywards miles. 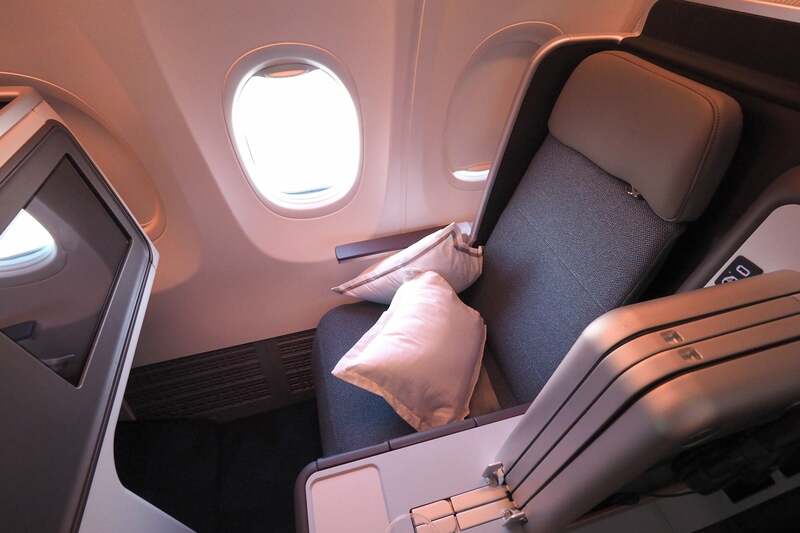 Regardless of how you book, if you do manage to snag a seat, please let us know what it’s like to fly up front!